We are in danger of losing public schools and it’s all about “disruption” and technology. The federal government is leading the way. Common Core State Standards were unproven and costly. I hate what Common Core did to children. Common Core and other school problems are still worth discussing. But technology and its overwhelming impact on children is what will haunt us forever if we don’t focus on it now! It can be confusing, but it is critical to read as much about it as we can, and pay attention to what’s happening also at the state and local levels when it comes to schools. Common Core diverts our attention. Here’s an example of what I mean. The Atlanta Constitution’s, Maureen Downey, published an informative article “Betsy Devos: Common Core is Dead at U.S. Department of Education.” And she printed the speech DeVos gave. Many are focusing on Common Core. Did DeVos really mean it’s dead? But the critical part of that speech is not about Common Core. The most troubling aspects are what DeVos says about technology and schools. Downey overlooks it too and doesn’t even mention technology in her tags. Here are the words from that speech by DeVos that stood out as most important. 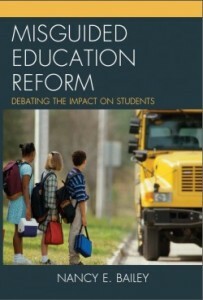 Which leads to my final point: if America’s students are to be prepared, we must rethink school. Why do we group students by age? Why must the school day start with the rise of the sun? Why are schools assigned by your address? Why do students have to go to a school building in the first place? Why is choice only available to those who can buy their way out? Or buy their way in? Why isn’t technology more widely embraced in schools? Why do we limit what a student can learn based upon the faculty and facilities available? Some of these questions are thought worthy. But there’s much more to what DeVos and her ilk are planning. DeVos is criticized for having little experience and understanding of children and education. But she is about destroying public schools through technology! A lot of powerful people back her, and she laid it all out glowingly in her speech. This is about ending public schools as we know them. No more teachers. No more brick-and-mortar buildings. DeVos is right about one thing. She says I’m well aware that change — the unknown – can be scary. We should be scared! We have no idea what chaos there will be with this kind of schooling. If you can even call it schooling. No research, thus far, shows any advantage to students learning only by technology. They often do worse the more they are on computers. DeVos knows little about education and child development. But she’s not alone. Look at the backgrounds of those who push a tech transformation. Few ever worked with children. They work for companies and foundations. If you’re a public school teacher and believe your purpose is to conform to those devices in your classrooms, you are being deceived. Ask yourselves who (or what) is in charge of what you do. Consider all the privacy concerns of so much student information put online. Can we really throw 90% of students who attend public school out on the streets to adequately learn online and expect them to later function in society? Do we want students to be tested nonstop on computers? DeVos criticizes her job. Of course! With no public schools there will be no need for oversight. Do parents really want their children in online charter warehouses without teachers? If parents get vouchers, what private schools will they be able to afford? Who’s going to organize students if parents work? Having effective homeschools is not easy. Not everyone wants their child homeschooled. There’s a great deal of discussion about self-directed learning involving children. Children will be expected to learn alone. Sometimes students can teach themselves, but more often they require guidance and an introduction to new material. How will students be evaluated? Who’s going to check for cheating? Parents are already upset about the huge amount of screen time their children get. Do they really want their kids to have to go to school online too? What happens when there is no structure for schooling? Will parents be able to stay home from work to help their students navigate their educational pursuits. This movement is happening quickly and it comes in many forms. If you hear about something new to your child’s school, or school district, find out what’s behind it. Understand that there’s more to Common Core than Common Core. It’s about the tech revolution in our schools. 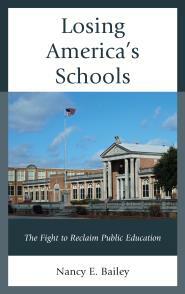 Everything you read and hear about public schools today is about this revolution. Common Core was simply a step towards that goal. Technology has always been the elephant in the room. McDermott, M., Robertson. P., and Krashen, S. 2016. “Testing All the Time?” Language Magazine, January 16. Found HERE! Stephen Krashen. “The End of the Teaching Profession? May 2013. Found HERE! Search words “Competency-Based, Personalized Learning, and Technology” on my website for more. Nancy, the Common Core still teaches an important lesson that we live in a society wherein a Billionaire can usurp educational policy from coast to coast, completely ignoring any and all duly constituted deliberative bodies. In no area of policy should this ever be allowed to happen. We have a government and a Constitution for projects of this scale; such things should never fall through the cracks. The fact that it did happen means that something needs to be fixed. What if it had been environmental or economic policy? One more and I will shut up: You said that the Common Core was just a step toward the technological revolution in education. Indeed, the Common Core was designed by a software executive to create common goals for software developers. Silicon Valley has had a field day with a standardized field of educational technology. We have a foundation, the Silicon Valley Community Foundation, which is both the recipient of massive contributions by Mark Zuckerberg and is a huge promoter of the Common Core. Our current state Assemblyman, Marc Berman, worked as a full-time promoter of educational technology before moving on to the state capitol. It is no longer about lobbyists targeting legislators; we have elected a tech lobbyist to be our legislator.. Educational technology is the biggest, fattest, industry-driven, taxpayer-funded cash cow outside the military. You ought to look into the Silicon Valley connection in your reporting. You get no argument from me, Wayne. I understand the Silicon Valley connection and have written about it. Most recent was the Summit post. I know there’s certainly more that can be written. Thanks for great, insightful comments. They are much appreciated! In rural Nebraska, we passed a town that stated on its sign, population 12. Miles of beautifully sand hills and ranches sparsely populated birthed the first students to use computers to learn. What choice did they have? Cows cannot teach calculus. But Nebraska is also a place where great respect is accorded public school. Our friend out in Norfolk, a retired elemental teacher, pointed out that they tried to give the kids out in the sparsely populated areas of the state similar chances to the kids in towns like Norfolk (pronounced nor fork by the locals). At other tiny towns, we have seen community people keeping the flowers in front of the high school. Tech is OK if it is the result of people in a community wanting all the students to learn as much as they can. Where it is problematic is when it “comes down the pike” the way of the diploma project, the common corpse, and a dozen other ideas that were introduced from above. I agree with you, Roy. There are times when tech is helpful, and rural areas is one of those times. Interesting thing about Nebraska. You are also correct about it being a state that rejected most school reform and they have had good results. I was disappointed, however, that they signed on to the controversial K12 online program. It seems like they could have come up with something better. Thank you. Peter has written some classics on personalized learning. Thanks for sharing. This comment gets to core of the issue. Is ‘personalised learning’ more or less effective than other approaches? The following is an extract from my article about the conclusions of the Education Endowment Foundation (EEF) research on the effectiveness of various approaches to school learning. The EEF is a educational research organisation supported by the UK government even though the UK Department for Education routinely ignores its conclusions. The first two examples emphasise ‘social learning’ and are found to be very effective. The third example emphasises ‘personalised learning’, which is found to be ineffective. “Dialogic Teaching aims to improve pupil engagement and attainment by improving the quality of classroom talk. Teachers are trained in strategies that enable pupils to reason, discuss, argue and explain rather than merely respond, in order to develop higher order thinking and articulacy. The programme uses video review, print materials and in-school mentoring to support teachers’ practice across English, maths and science lessons. This EEF conclusion is important as it recognises that the approach is not based on the learning of factual content but on stimulating and supporting the development of cognitive ability. Put simply, the pupils made more progress because the teaching and learning methods used made them cleverer. It is important to note that pupil’s confidence and performance improved in all subjects, not just the ones directly relevant to what the ‘classroom talk’ was about. This is the claim of the long-standing ‘cognitive acceleration‘ movement led by Michael Shayer and the late Philip Adey, backed by a huge amount of peer reviewed research. This too was an initiative based not on ‘telling by the teacher and listening by the pupils’, but on the development of general cognitive ability through metacognition, pupil to pupil and pupil to teacher debate. This was completely different in nature to the previous two initiatives. It is all about the transmission of knowledge and information through learning packages ‘delivered’ in a structured manner to children in ability groups, with the whole process overseen by school management through testing and ‘data management’. No mention of pupil talk or social interaction of any kind. Most primary teachers would recognise the mainstream current orthodoxy promoted by the DfE and enforced through OfSTED. This trial found that Reception pupils in SFA schools made a small amount of additional progress compared to pupils in other schools after two years. The effect was slightly larger for pupils eligible for free school meals, but in both cases it was smaller than those found in previous evaluations. EEF has no plans for a further trial of Success for All..
‘Personalised Learning’ was not invented alongside computers. In the 1970s it became popular in a number of English schools, one of which I taught in. The idea in maths was that students would be taught in very large classes with two or more teachers. The first part of the lesson was often a ‘lecture’ delivered from the front by one of the teachers. The students then continued to work their way individually through worksheets obtained.from the filing cabinets at the side of the room. The role of the other teachers was to circulate around the class offering assistance. The idea was that when when a student had successfully completed all the programmed worksheets on say, ‘solving quadratic equations’ they would be competent in that topic and ready to move on to next one. The idea was that each student would work at their own pace. It was an utter failure. Many students became so bored that they either daydreamed or got involved in chatting about some private matter unconnected with the subject. Even the successful students, who enjoyed ‘steaming through the program as rapidly as possible to earn praise from the teacher’ were subsequently found to have little or no deep understanding. They could solve quadratic equations without having a clue about what they were or where they fitted into a general structure of mathematical understanding. Matthew Bennett has also written extensively about computer based personalised learning. You can find one of his articles here. Dude, those are some epic excerpts. Ignoring child/adolescent psychology, classroom dynamics, familiarity fatigue, and the role of family culture was a mistake born of silicon-based tunnel vision. Believing that they could effectively “reform” or “revolutionize” an underlying structure that was not ever about “mastering” a checklist of skills was beyond foolish. I agree that the website you recommended, Missouri Education Watchdog is a source of critical thinking about influences on schools. However, a comment I posted had parts rewritten and even a cuss word inserted. Not the way I typically post on sites. Made me rethink the site’s validity. I would complain to the sight administrator. They’re all good people. Maybe they were hacked?